Col. Ret. John H. Moorhead, age 81, of Clarksville, passed away Saturday, December 1, 2018, at Alive Hospice of Murfreesboro. John was born March 26, 1937, in Jasper, GA, to the late Julian Moorhead and Sarah McWhorter Moorhead. He was also preceded in death by his wife, Betty Moorhead; daughter, Katherine Lynn Moorhead; and brother, Robert Moorhead. John graduated from Cartersville High School in 1955 and obtained his BS from Tennessee Technological University in 1959. 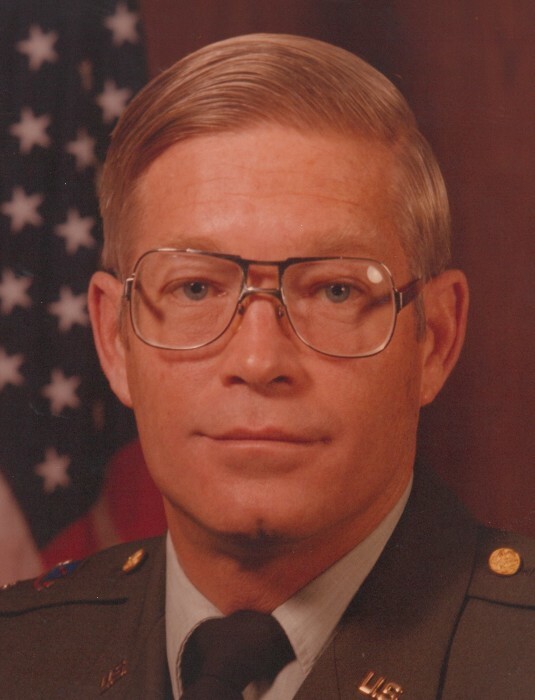 John joined the Army in 1959 and served 24 years, reaching the rank of Colonel. John received a Proclamation from the Mayor of Clarksville, TN designating June 29, 2005 as "John H. Moorhead Day," upon retiring from his second career as CEO of Fort Campbell Federal Credit Union. He enjoyed golfing, running, and staying fit with his regiment of early morning workouts at the YMCA. John was also a member of First Baptist Church of Clarksville. A Celebration of Life Service will be held Friday, December 14, at 12:00 PM, at the Chapel of Neal-Tarpley-Parchman Funeral Home. John will be laid to rest at Kentucky Veterans Cemetery West, in Hopkinsville, where full military honors will be rendered. Visitation will be Thursday, December 13, from 4:00 to 7:00 PM, and Friday, December 14, from 9:30 AM until the hour of service, at the funeral home. John is survived by two sons, John S. (Karla) Moorhead of Evans, GA and Robert "Bob" (Michelle) Moorhead of Lebanon, TN; one sister, Betty Sue (Fritz) Lebow; five grandchildren, Paige Moorhead, Aubrey Moorhead, Faith Moorhead, Gabriel (Kathryn) Moorhead, and Michael Moorhead; great grandchild, Kaia Moorhead; and sister-in-law, Clarice (Bill) Gustafson of Clemson, SC. In lieu of flowers, memorial contributions may be made to the Col. (Retired) John H. and Betty Moorhead Athletic Endowment at Tennessee Technological University, made payable to TTU Foundation, P.O. Box 1915, Cookeville, TN 38505 or at www.tntech.edu/giving.